Don't let the neutral status of Switzerland fool you: The Swiss know a thing or two about knives, and the Swiss Army Knife is the height of great design. The number of Swiss Army Knives Victorinox produces daily at its factory in Ibash, Switzerland, according to the BBC. The rough designs of the knives have stayed the same since the late 19th century. 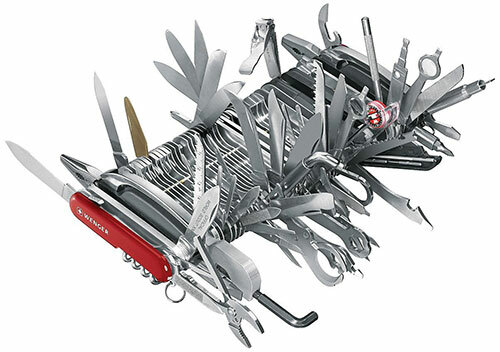 It sort of makes sense that the Swiss Army Knife has a boring, obvious, practical history. Switzerland’s army needed a way to ensure that officers on the hunt could repair their guns, open their canned food, and cut stuff as needed. The idea for the knives came about in the 1880s, when the Swiss military decided that it needed to give soldiers a simple, portable tool. At first, no suitable tool-producing factories existed in the country, so they had to outsource the work to Germany, but eventually a talented inventor, Karl Elsener, stepped up and manufactured something that was up to the task. In 1891, his tool was handed to military officers; it was popular, though some complained about it, so he went back to his shop and made it even better, adding a corkscrew to the mix. Since then, the original device has largely remained the same structurally. The company at first didn’t have a name, but Elsener, heartbroken over the death of his mother Victoria, named the company Victoria in 1909. 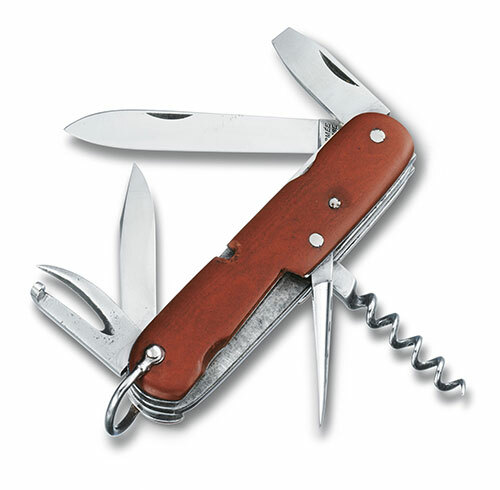 In 1921, the company came to be known as Victorinox, “inox” being a French term for stainless steel, which the company began using in its knives around that time. The knives, as it turns out, didn’t gain their name or international prominence until the 1940s, when World War II exposed the devices to large audiences of Americans who struggled to say the original name, “Schweizer Offiziersmesser.” They came up with Swiss Army Knife as a backup. Victorinox did have a longtime competitor in the space called Wenger, which came about after Switzerland decided that it was high time to separate the manufacturing of the knives in 1909. But recent troubles in the industry—particularly the post-9/11 airport climate, which made it difficult to take small knives onto planes—damaged Wenger’s business to the point that Victorinox had to step in to buy its competitor in 2005. Victorinox has largely remained solvent and family-owned throughout this time, diversifying its markets repeatedly in recent years. Now the company known for making tiny portable knives now makes watches, luggage, and fragrances. — Carl Elsener Jr., the current CEO of Victorinox, discussing how the 9/11 attacks, which led to new airline restrictions that made it impossible to carry a Swiss Army Knife on a plane, threatened the company. The reason had much to do with the fact that the knife was shorthand for Swiss culture, and as a result was a constant seller at duty-free stores prior to the attacks. Despite that, the company has never had to lay off a single employee. Chocolate candy bars. They make hazelnut chocolates wrapped like Swiss Army Knives, because clearly Switzerland needed another kind of chocolate to compete with Toblerone. USB drives. Victorinox has in recent years embraced the need for everything to plug into a computer, and its [email protected] line of USB drive Swiss Army Knives does the trick. MP3 players. Hold on to your iPod Nanos, because Victorinox once made a Swiss Army Knife with a built-in MP3 player. Beyond cutting rope, one unique feature of the s.beat audio player is that it supports Ogg Vorbis. Fancy executive blades. For the rich business executive who wants to have basically everything on his desk but never use it, the Victorinox Swiss Army SwissChamp XAVT features 80 separate functions, including a ball point pen. You know, just in case there isn’t another pen around. 141-function knives. Good luck trying to find one, but Wenger has in the past sold a two-pound, 141-function Swiss Army Knife, a device that’s probably way too large to fit into your pocket but includes a cupped cigar cutter, a ruler, and an awl. It costs more than a Macbook, but it probably does a lot more, too. When people talk about product design in reference to Switzerland, it’s generally in reference to the country’s long legacy of watches. Now those watches are great and everything, but the thing about good product design is that it’s important to get it in the hands of real people. And—141-function knives be damned—there’s nothing that screams “middle of the road” more than a device that’s meant to whittle a stick or file your fingernails. Quite often, we as humans are looking for devices that fulfill basic needs in a way that doesn’t require a lot of extra work or research. A Swiss Army Knife fits this bill pretty handily, because it takes what was once a toolbox full of hardware and replaced it with something so small, you might not have notice you’re even carrying the thing. 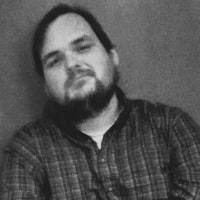 In this day and age, when so many companies are tying to strike the perfect balance between a product and a necessity—particularly app developers and tech companies—much is to be admired about something that takes basic functionality, and then gets the heck out of the way. Much more is to be admired about the fact that it’s something nearly everyone can attain. Recently, I bought a backpack that could be best described as the Swiss Army Knife of backpacks. When we got it, the bag was roughly the size of a purse with a small handle. Open it up, and it expands out to a large backpack with numerous pouches, straps, drawstrings, water bottle holders, and other niceties. It was a nice backpack, and it was incredibly cheap for what we were getting. And it’s the perfect example of how efficient Swiss engineering has spread beyond its roots to many different places. It takes a lot of work to build something so simple.